At Business Results Group we facilitate greatness by sourcing the world’s best content to enable our clients to be really great. Partnership is at the core of our approach to business. Over the years we have come to represent highly respected International thought leaders and products, bringing world class content to Africa. Our credibility in working with international intellectual property is testament to our key value of integrity and today, Business Results Group is both proud and privileged to be partners of choice to these world respected thought leadership brands. Dr Edward de Bono is the world’s leading authority on conceptual thinking as the driver of organisational innovation, strategic leadership, individual creativity, and problem solving. De Bono’s ground breaking research in the field of creative thinking has resulted in his tools being implemented and used by governments, organisations, corporations, NGO’s and individuals with astonishing results. 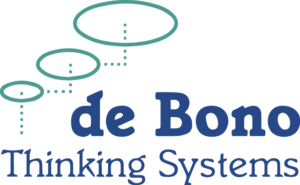 De Bono Thinking Systems products and programmes include Six Thinking Hats, Lateral Thinking, Six Value Medals, Simplicity and POP. De Bono’s work delivers advanced training solutions that are greatly needed for success in these challenging times. It continues to be a hallmark intervention in organisations wanting to build resilient innovation capability. Business Results Group is the sole Official Distributor of de Bono’s thinking methods in Sub-Saharan Africa. The Wiseman Group is a leadership and research development centre which focuses on preparing leaders to tackle some of the world’s toughest challenges. Liz Wiseman, researcher and author of Multipliers: How the Best Leaders Make Everyone Smarter, is considered by many as the most revolutionary leadership development thinker to date. Her first book spent 6 weeks at the top of The New York Times bestseller list, and her new book, Rookie Smarts, launched in October 2014, hit 5 of the Top 10 Best Seller lists worldwide within a month of publication. Through this relationship Business Results Group brings the ground breaking Multipliers development interventions to Southern Africa. Liz Wiseman is listed in Thinkers50 and is considered to be one of the Top 10 Leadership Thinkers in the world. Communication is at the centre of every leadership cadre of tools. McLuhan & Davies are widely considered champions on communication skills training. Their programmes are standard practice in many leadership development programmes around the world, including global universities for Chevron, GE and many others. As their Africa partner, Business Results Group currently deliver Think On Your Feet™, a globally acclaimed verbal skills workshop that trains individuals to organise their thoughts and ideas quickly for clear, concise persuasive messages. Business Results Group will bring the full suite of McLuhan & Davis programmes on board in 2015. RBL is a global professional services firm committed to creating value through leadership, talent, strategic HR and aligned organisation and capability. Their decision to partner with Business Results Group was anchored in our involvement in being the Africa Partner for the HR Capability Survey (HRCS), an international research project. 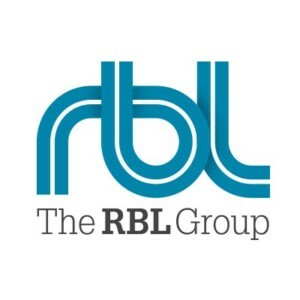 Through the RBL Group partnership Business Results Group are able to deliver a range of HR specific programmes from Capability Building to Change Management and Strategic Business Partnering. Tara is the only top-tier leadership coach with both a PhD in neuroscience and former medical career as a psychiatrist. Educated at Oxford University and King’s College London, her role as Senior Lecturer at MIT ensures that she remains at the forefront of the latest developments in her sector. Tara’s clients include FTSE100, Fortune 500 and Magic Circle firms, as well as UHNWI entrepreneurs. She specialises in sectors that face unusual levels of stress or change. Tara Swart is also lead author of the award-winning book, Neuroscience for Leadership: Harnessing the Brain Gain Advantage. The book examines new evidence that positive leadership can be learned and how by harnessing key competencies and creativity, leaders can make better decisions and improve performance.